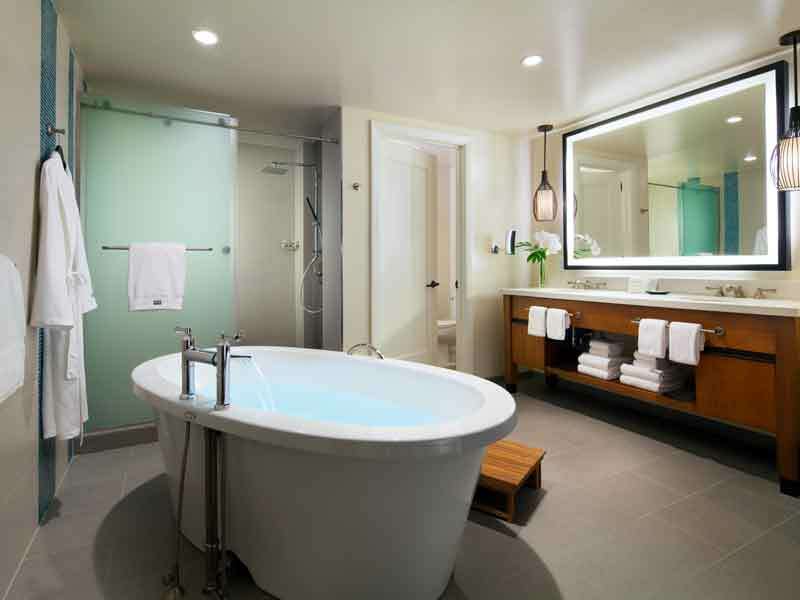 Experience ultimate Hawaiian luxury at the Westin Nanea Ocean Villas. 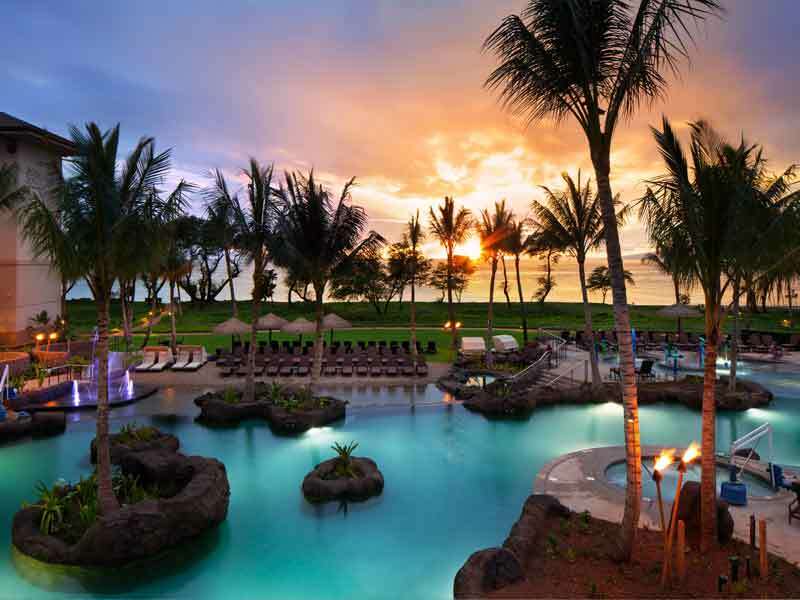 Named after the Hawaiian word for relaxation, leisure, and tranquillity, this resort is a true haven. Enjoy light-filled spaces, traditional Hawaiian culture, and 16 beautiful acres of Maui’s Kā’anapali Beach. 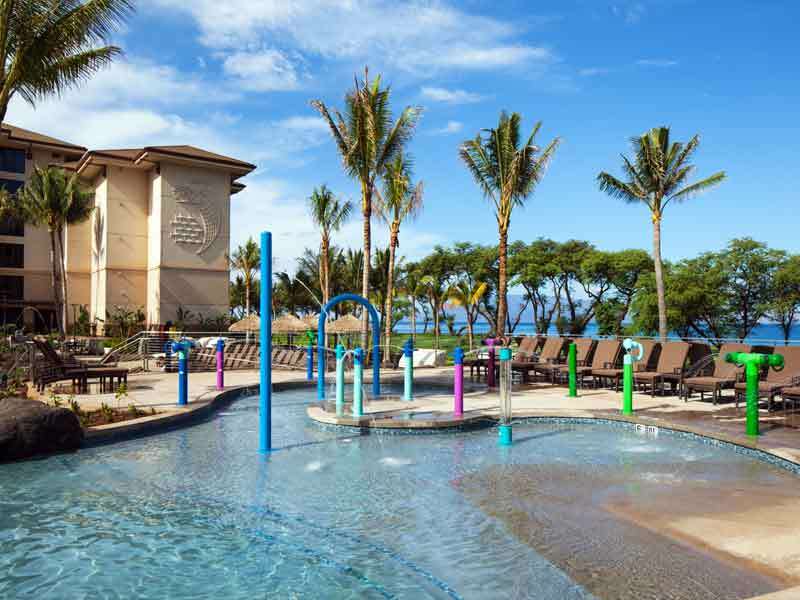 The Westin Nanea Ocean Villas has something to offer the whole family! 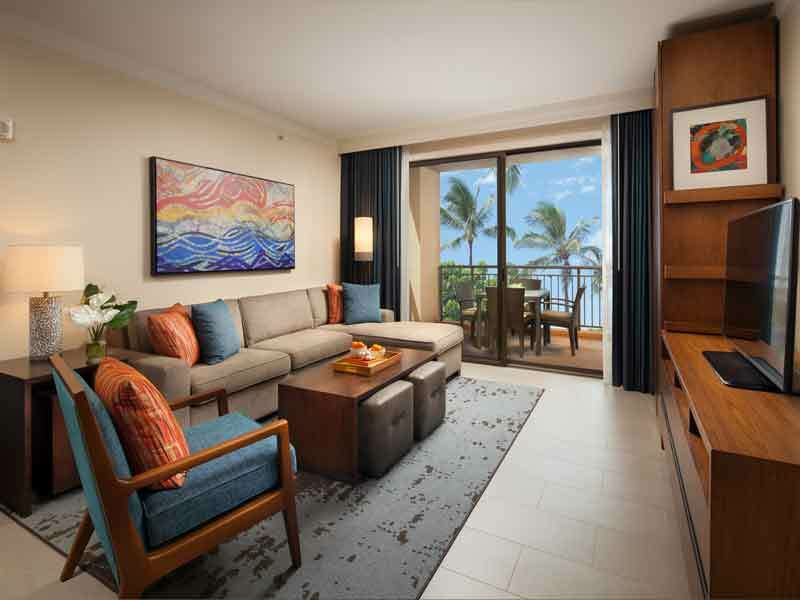 Built in 2017, The Westin Nanea Ocean Villas are a stunning addition to Maui’s Kā’anapali beachfront. 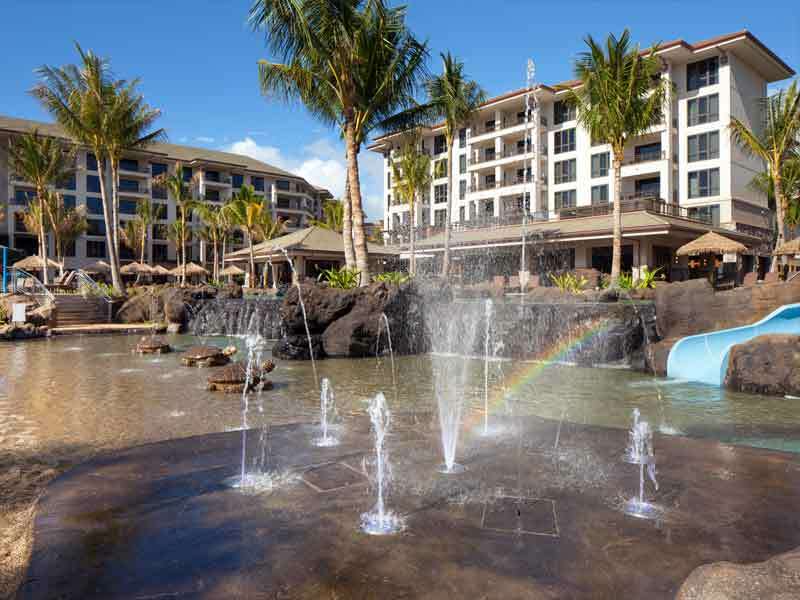 Hawaiian culture and the meaning of Nanea are at the heart of this resort—every aspect of its design embodies a state of relaxation, leisure, and tranquillity, and there are a range of features and facilities to enhance the experience of all guests! 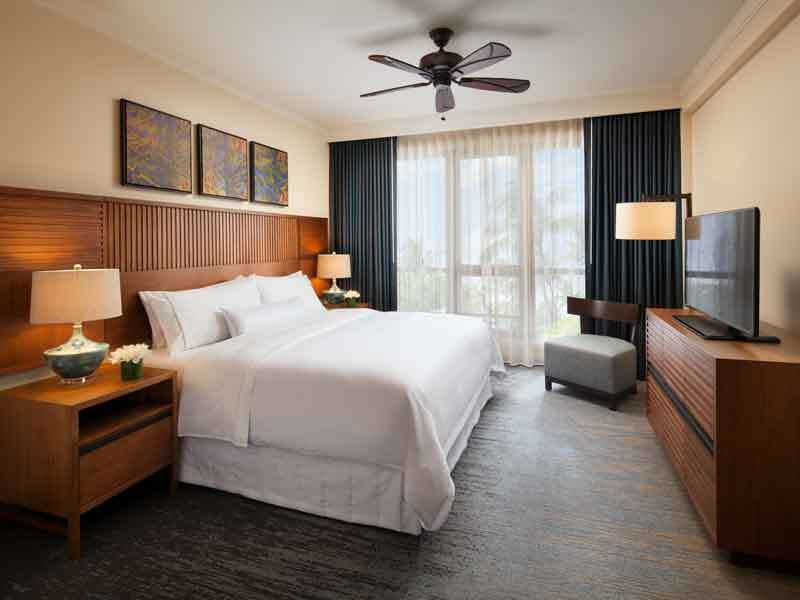 Family friendly considerations have been made throughout the entire Westin Nanea Ocean Villas and the 390 guestrooms and suites are no exception. Water is a key feature here, with a range of pools and spas for guest to choose from! Float in the large ocean-facing lagoon-style pool, soak in one of 2 plunge pools, enjoy the island whirlpool spas, or spend the day at the beach in an oceanfront cabana. Kids will enjoy the kids club, splash pad, and beach pool with sand and a slide, guests can sweat it out in the WestinWORKOUT® studio, plus there is a cultural centre, fire pit, retail shops, business centre, and a boardroom! 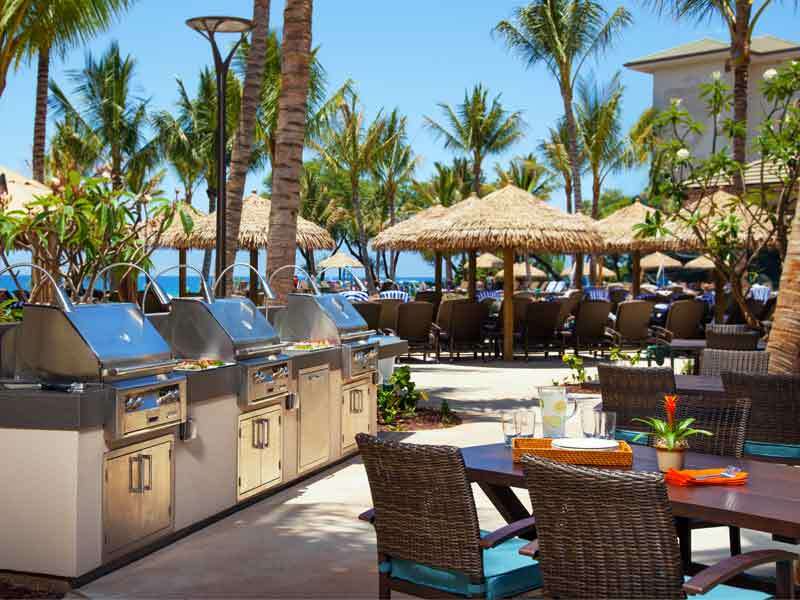 Dine on fresh and innovative dishes at Mauka Makai restaurant, use the outdoor BBQ grills, or get something quickly on your way out to explore at the Grab n’ Go counter. 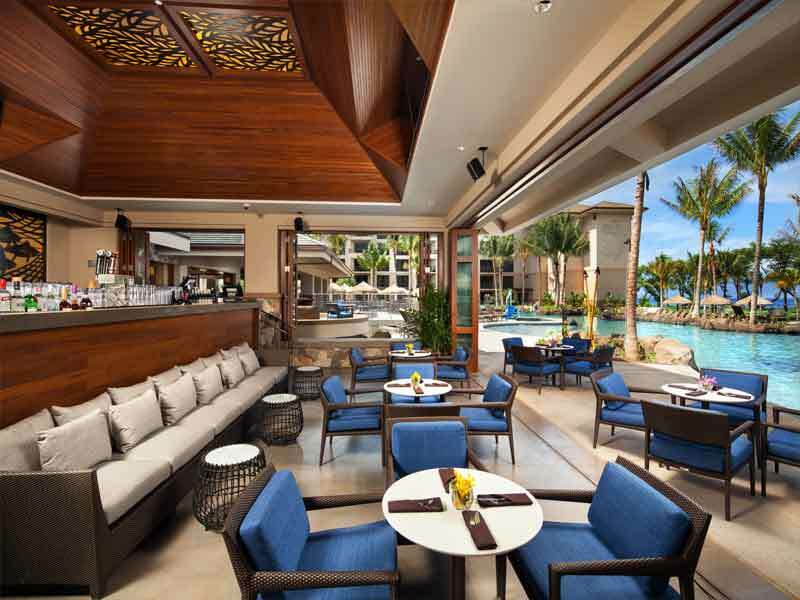 Drinks and light meals are available at Inu pool bar, plus the Kauhale Market is a great place to stock up on snacks and gifts! The Westin Nanea Ocean Villas were completed in 2017. 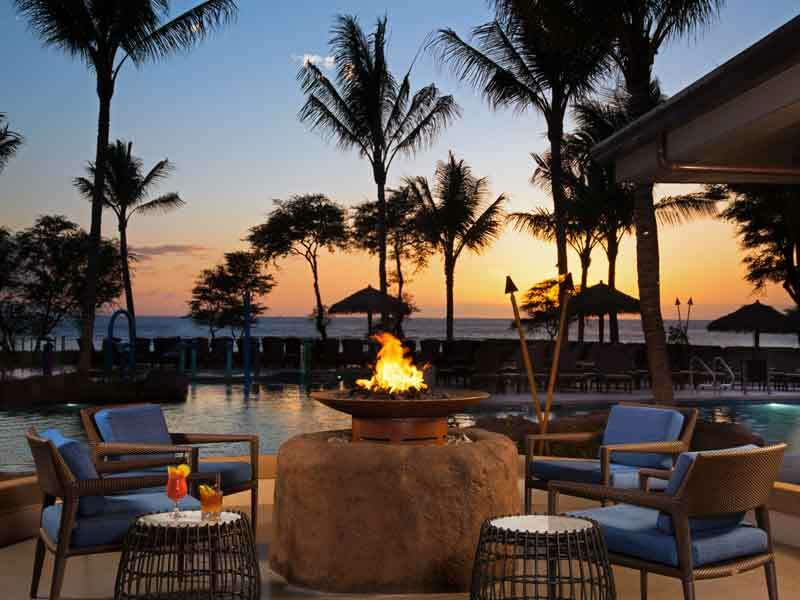 Nanea—the Hawaiian word for relaxation, leisure, and tranquillity have shaped the entire concept of the resort and is embodied in the design, facilities, and exemplary standard of service exhibited throughout. Take in stunning ocean views, 16 acres of Maui’s Kā’anapali Beach, and the perks of being less than 8km away from a range of restaurants, cafés, shops, and spas. Enjoy direct access to the picturesque Kā’anapali Beachwalk, travel just over 2km to reach the Kā’anapali Coffee Farms, and scuba dive, fish, and more with the tours available at the resort. Whalers Village is within 3km of the resort as is Black Rock Beach—a great place to jump right in the ocean and snorkel! If this sounds like your perfect holiday to Hawaii, give us a call now on 1300 004 292! 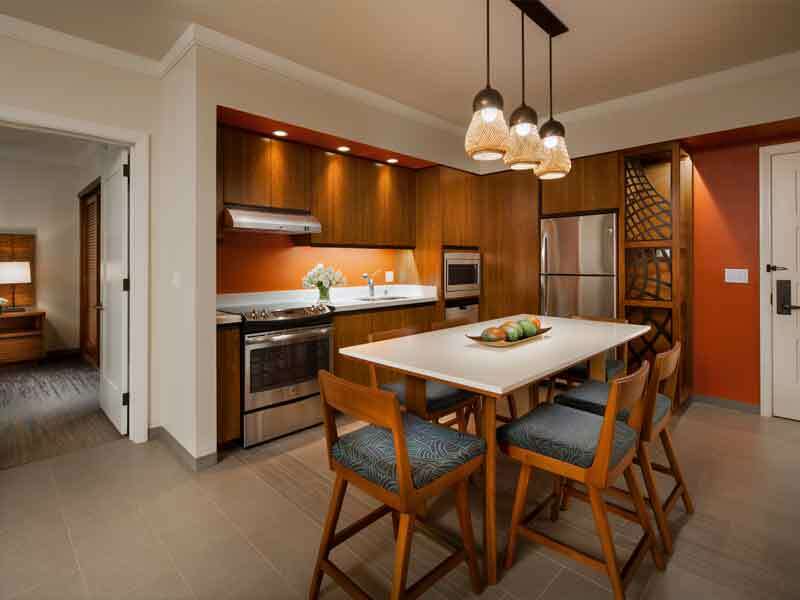 Each of the one bedroom villas are spacious and beautifully designed, featuring natural textures and furnishings throughout. All rooms include fully equipped kitchens with refrigerators, microwaves, dishwashers, and cooking utensils, washing machines and dryers, and large HDTV’s, entertainment console with DVD player, Bose, Wave and radio. Spread out and breathe in the island air on your furnished private balcony, rest easy on deluxe pillowtop Westin Heavenly® beds, and soak up the holiday spirit in your large private bathroom with separate shower and deep soaking tub! Wi-Fi is available to help keep guests connected and sofa beds are available on request to accommodate extra guests. This room is 78sq. metres & sleeps up to 4 guests. These fully equipped villas are complete with kitchens with refrigerators, microwaves, dishwashers, and cooking utensils, washing machines and dryers, and large HDTV’s, entertainment console with DVD player, Bose, Wave and radio. With plenty of room to move these comfortable layouts are beautiful designed with contemporary furnishings. Enjoy the view from your private balcony and get a good nights sleep on the luxury pillowtop Westin Heavenly® beds in separate sleeping areas. Wi-Fi is available to help keep guests connected and sofa beds are available on request to accommodate extra guests. This room is 117sq. metres & sleeps up to 6 guests. 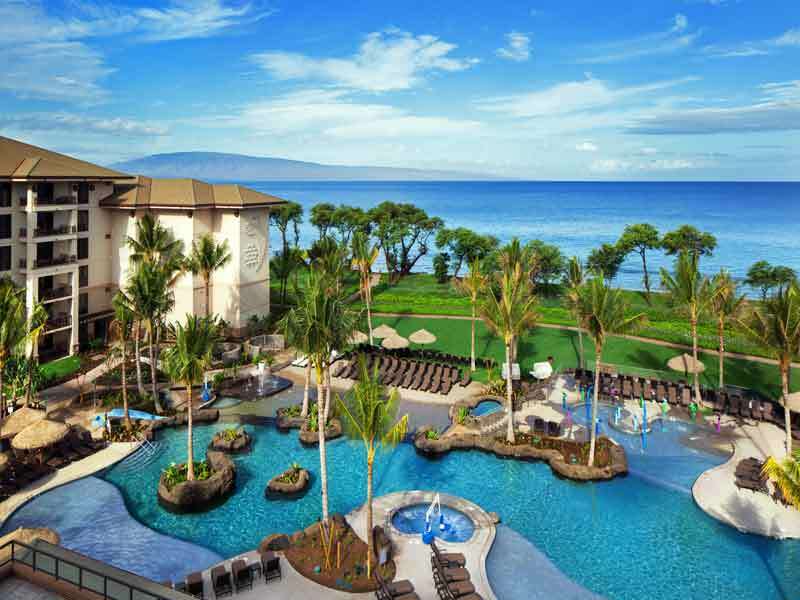 The Westin Nanea Ocean Villas are nestled on the beach in Ka’anapali, Maui. Travel just over 45-minutes by car to reach this resort from the airport and enjoy scenic coastal and mountain views as you pass by the West Maui Forest Reserve. Swim and soak up the sun during your stay at this resort. Choose from a large lagoon-style pool, 2 plunge pools, island whirlpool spas, or the pristine sandy beach. Kids can enjoy their own beach-style pool with sand and a slide, plus there is a splash pad, and a kids club to keep them entertained! Workout at the WestinWORKOUT® fitness centre, browse the retail shops, learn about Hawaii in the cultural centre, or gather around the fire pit for a show in the evenings. 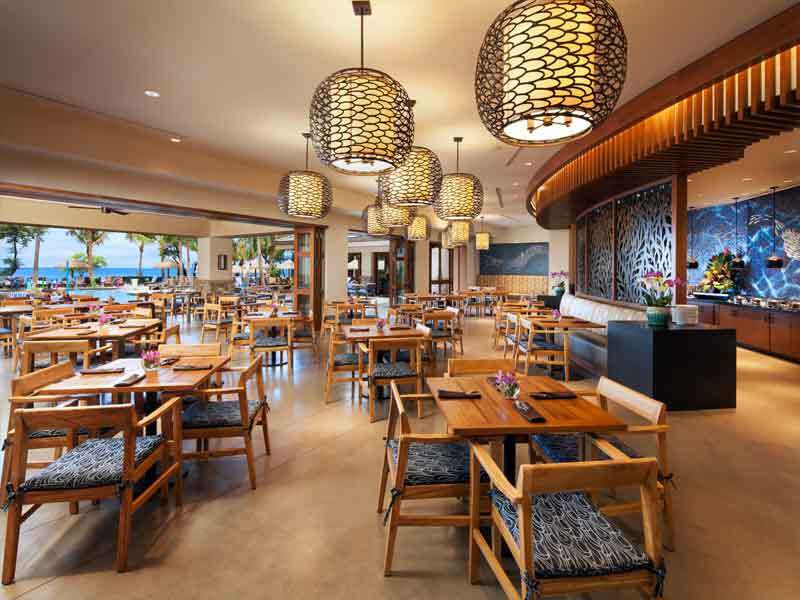 Dine at the Mauka Makai restaurant, make use of the Grab n’ Go counter, stock up on snacks at the Kauhale Market, or enjoy drinks and light meals at Inu pool bar. The Westin Nanea Ocean Villas has a boardroom and business centre on site too, so corporate travellers will enjoy their stay here too! Enjoy a picturesque 45-minute walk along the Kā’anapali Beachwalk. The Kā’anapali Coffee Farms are just over 2km away, plus there are plenty of shops, restaurants, and cafés to explore under 8km away. Enjoy snorkelling, scuba diving, kayaking, stand up paddle boarding, and fishing during your stay at the Westin Nanea Ocean Villas. Tours and equipment can be arranged at the resort, plus guests can also get information on whale watching, submarine adventures, surfing, cruising, and more! History buffs will enjoy exploring Whalers Village and Museum, less than 3km away, plus the beautiful Black Rock Beach is around the same distance from the Westin Nanea Ocean Villas. From the moment we arrived the staff working the front desk were incredibly kind. They had a new tasty tea and fruit water on the main entrance each day. The staff continued to teach us about Hawaii and all the proper names of everything. The restaurant was great and the pool was amazing for my kids. The kiddy sand pool was perfect for my 3-year-old and 8-year-old to rally in while I relaxed. Our travel experts have done the research to handpick only the finest resorts in Hawaii based on quality, service, and location. If we wouldn’t stay there, you won’t find it at My Hawaii!